“We … went into the royal residence known as … White Hall. It is truly majestic, bounded on the one side by a park which adjoins another palace called St James’s, and on the other side by the Thames, and it is a place which fills one with wonder, not so much because of its great size as because of the magnificence of its … rooms which are furnished with the most gorgeous splendour. Another room has … some very rich hangings. In another place we saw … the Queen’s couch which is woven with gold and silver thread … . The Queen’s bed-chamber has rich tapestries all around: The adjoining room is reserved for the Queen’s bath: the water pours from oyster shells … . In the next room there is an organ on which two persons can play duets … . 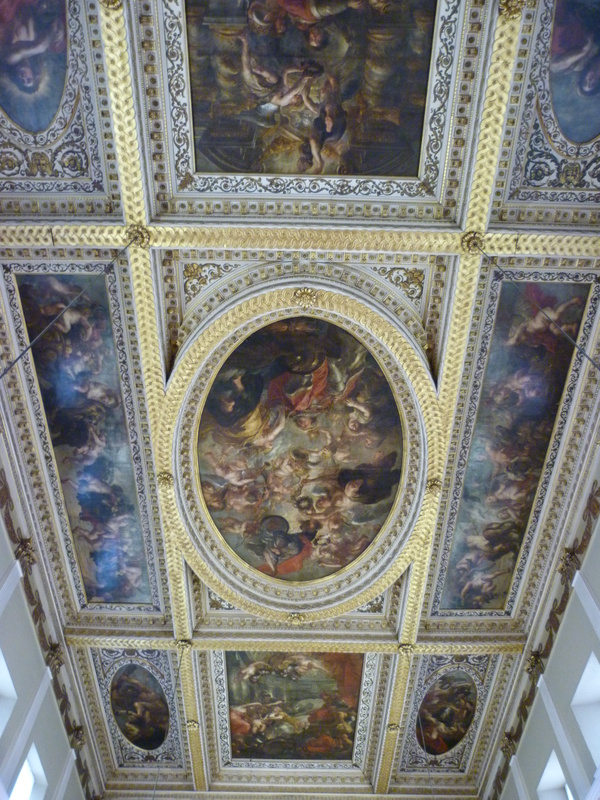 In another room Henry VII and Henry VIII and their wives are painted … ”. 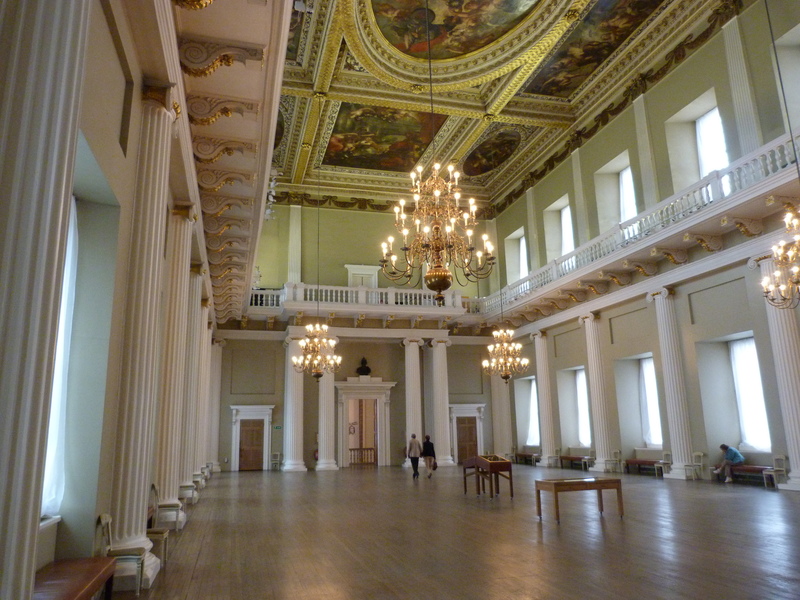 Whitehall Palace was substantially destroyed in a fire in 1698. 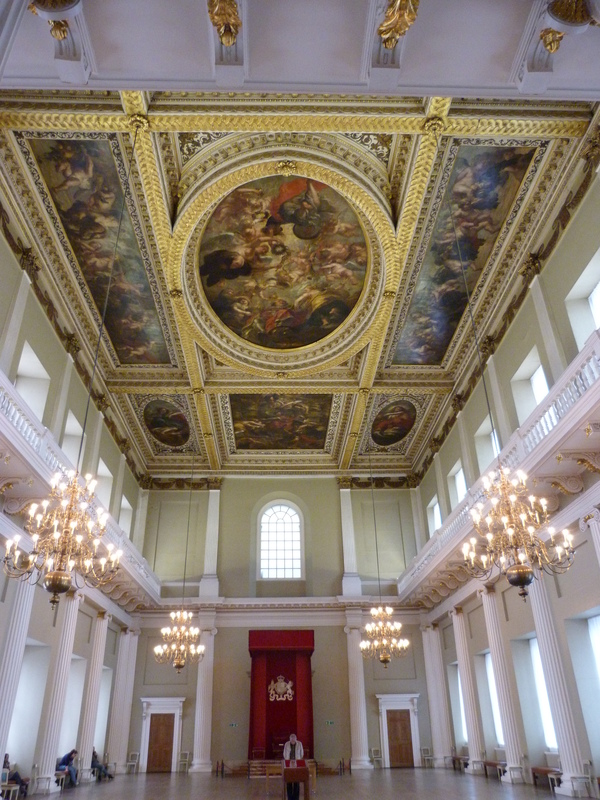 The surviving incarnation of the Banqueting House was designed by Inigo Jones for James I in 1622, and notable as the first Renaissance building in London. 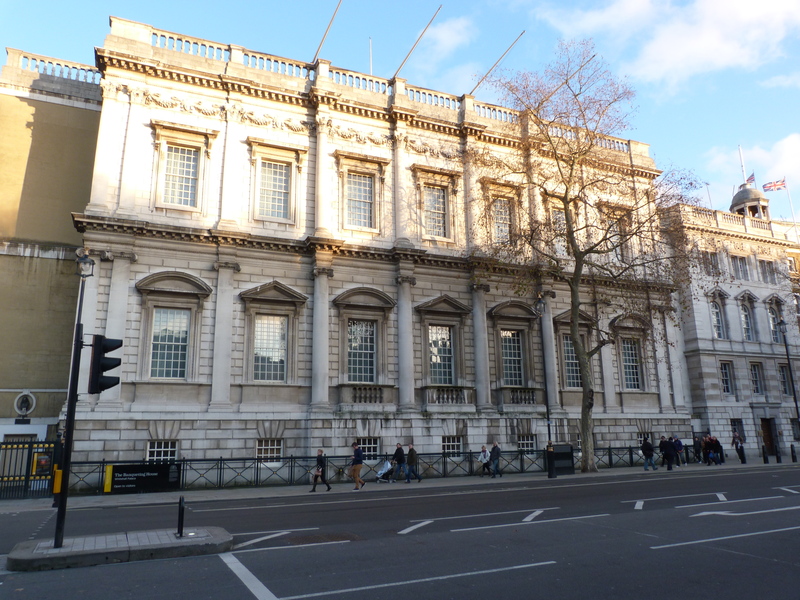 This entry was posted in Contemporary accounts of events, London History, On this day, Post-Medieval, Tudor and tagged Banqueting House, Baron Waldstein, Whitehall Palace on July 5, 2018 by Bob Jones - The Lost City of London. It was a freezing cold day, so he put on an extra shirt, that no-one might see him shiver, and think him scared (“the season is so sharp as probably may make me shake, which some observers may imagine proceeds from fear [and] I would have no such imputation”). Eventually, after what must have been a harrowing wait, at 2pm, he delivered an almost inaudible address to the crowd, and at the end proclaimed “I go from a corruptible to an incorruptible crown, where no disturbance can be, no disturbance in the world”. He then made a silent prayer, laid his head upon the block, and had it stricken from his body. Whereupon, according to an eye-witness account by one Philip Henry, “there was such a Grone given by the Thousands there present, as I never heard before & desire I may never hear again”. The usually ubiquitous John Evelyn was pointedly not among those who bore witness to the event, writing in his diary: “The Villanie of the Rebells proceeding now so far as to Trie, Condemne, & Murder our excellent King … struck me with such horror that I kept the day of his Martyrdom a fast, & would not be present, at that execrable wickednesse … ”. This entry was posted in 17th Century London, Contemporary accounts of events, London History, On this day, Post-Medieval, Rebellious London, Stuart and tagged Banqueting House, Charles I, John Evelyn, Whitehall on January 30, 2018 by Bob Jones - The Lost City of London.